This newly released Hubble image shows globular cluster NGC 362, which is located 27,000 light-years away. Globular clusters offer some of the most spectacular sights in the night sky. These ornate spheres contain hundreds of thousands of stars, and reside in the outskirts of galaxies. The Milky Way contains over 150 such clusters — and the one shown in this NASA/ESA Hubble Space Telescope image, named NGC 362, is one of the more unusual ones. As stars make their way through life they fuse elements together in their cores, creating heavier and heavier elements — known in astronomy as metals — in the process. When these stars die, they flood their surroundings with the material they have formed during their lifetimes, enriching the interstellar medium with metals. Stars that form later therefore contain higher proportions of metals than their older relatives. By studying the different elements present within individual stars in NGC 362, astronomers discovered that the cluster boasts a surprisingly high metal content, indicating that it is younger than expected. Although most globular clusters are much older than the majority of stars in their host galaxy, NGC 362 bucks the trend, with an age lying between 10 and 11 billion years old. For reference, the age of the Milky Way is estimated to be above 13 billion years. This image, in which you can view NGC 362’s individual stars, was taken by Hubble’s Advanced Camera for Surveys (ACS). 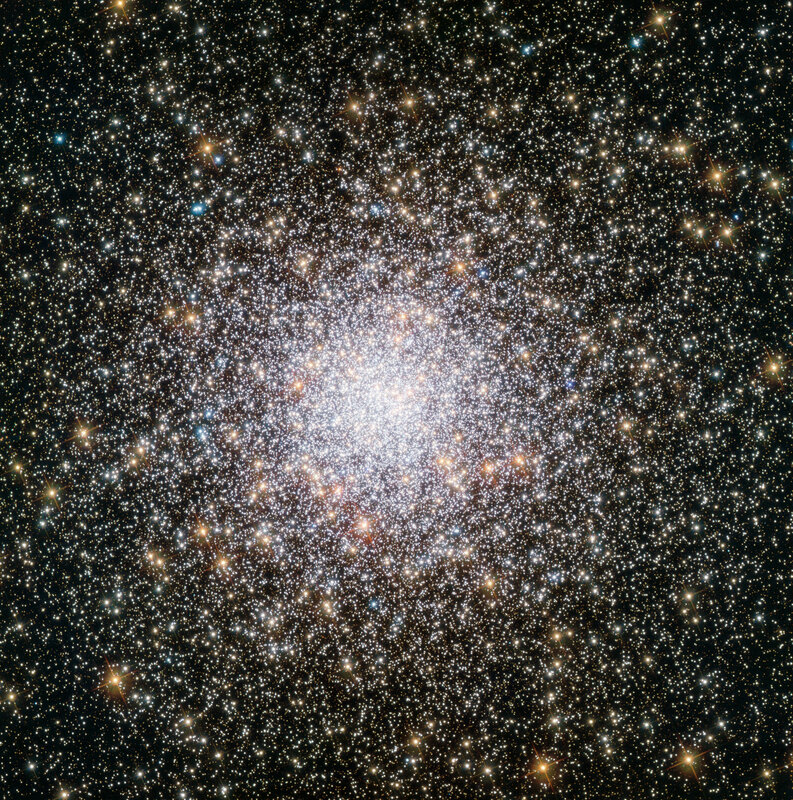 Be the first to comment on "Hubble Image of the Week – Globular Cluster NGC 362"